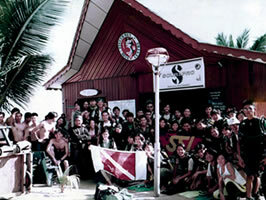 With more than 27 years of diving instruction and training under its belt, Fishermen Scuba Studio has trained and instructed more than 7000 new scuba divers, and has been awarded numerous scuba diving industry awards, such as "Top Ten Dive Agencies", and achievements such as SSI Platinum Instructor Training Facility. 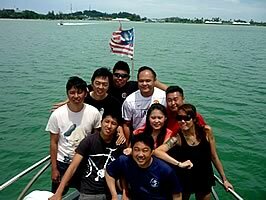 Based in sunny Singapore, our dive operations not only extend beyond our borders to neighboring Malaysia and Indonesia. We also extend our quality services to bring you closer to the premium dive sites in Asia. Fishermen Scuba Studio offers courses from Scuba Schools International (SSI), a world renown scuba diving certification agency. SSI certifications are diving licenses that are recognized internationally, and would allow certified divers to dive anywhere in the world. 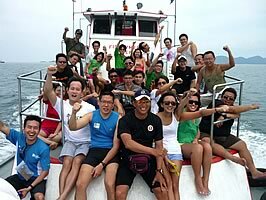 The courses we offer cater to potential divers and divers of different levels. Newcomers to the sport would want to start with an Open Water Diver course, while more experienced divers can take on more advanced skills and techniques underwater with the various specialty courses. Of course, we do train Dive Professionals as well, for those who may be looking to live a life of adventure with a career in diving. For those certified divers, looking for more fun and adventure, we offer dive expeditions to tropical paradises and dive havens in Asia. Some of which include Malaysia, Thailand, Indonesia and the Philippines. You can read up more on the destinations that we offer for our dive expeditions here. Our online booking service will make it easy for you to plan your trips with us, and make any necessary arrangements that would make your trip a better more enjoyable one. Our lives depend on the reliability of many equipment when we're under thirty meters under the sea. We are serious when it comes to equipment choices and maintenance. Here at Fishermen Scuba Studio, we do not skimp quality and reliability. We only stock and rent quality diving equipment that we use and trust. We also provide top quality maintenance servicing of scuba diving equipment.